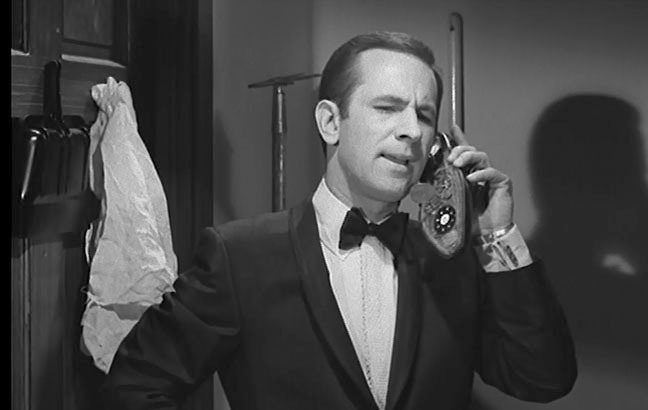 Maxwell Smart answers his shoephone for the first time on Sept. 18, 1965. Would you believe for the second time? 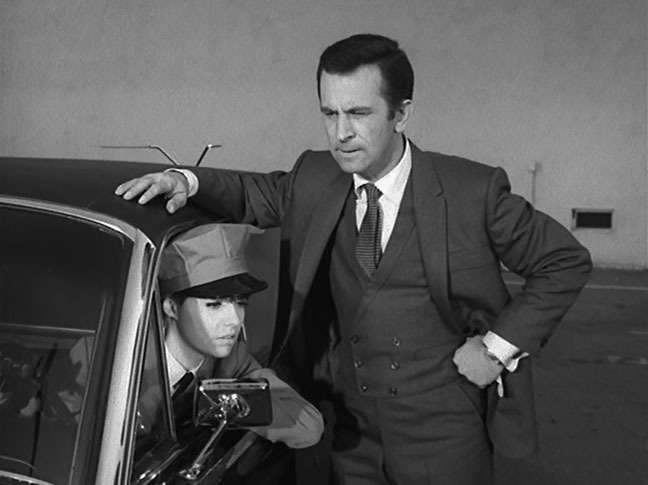 Fifty years ago this week a few of spyfi’s noted 60s TV shows were birthed – I Spy, The Wild Wild West and Get Smart. 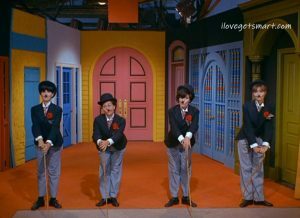 It was on Sept. 18, 1965 that viewers may have tuned into NBC and found themselves watching the beginning of a black and white show, which starts off with a tuxedoed man sitting at concert next to his elegantly dressed and perfectly coiffed date. Then a phone rings. People stare. He excuses himself and takes the call in the nearest closet, where it’s revealed that the ringing is coming from a phone in, of all places, his shoe. We learn from that one-sided conversation this character is a spy. We’re clued in early on that he’s an awkward person, since he can’t help but get stuck in the closet before driving off to his assignment. 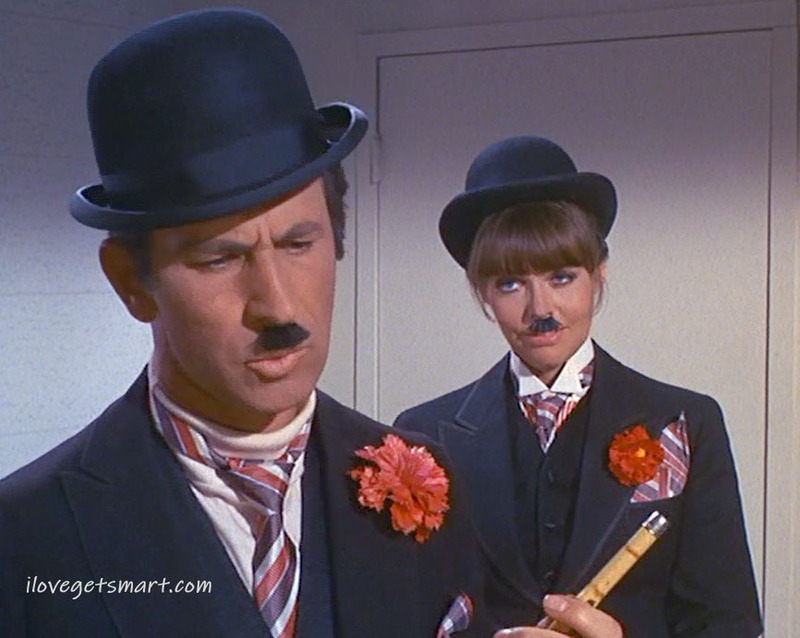 What we don’t learn is what happened to that woman he left back in the concert hall, but that’s just how Get Smart rolls. 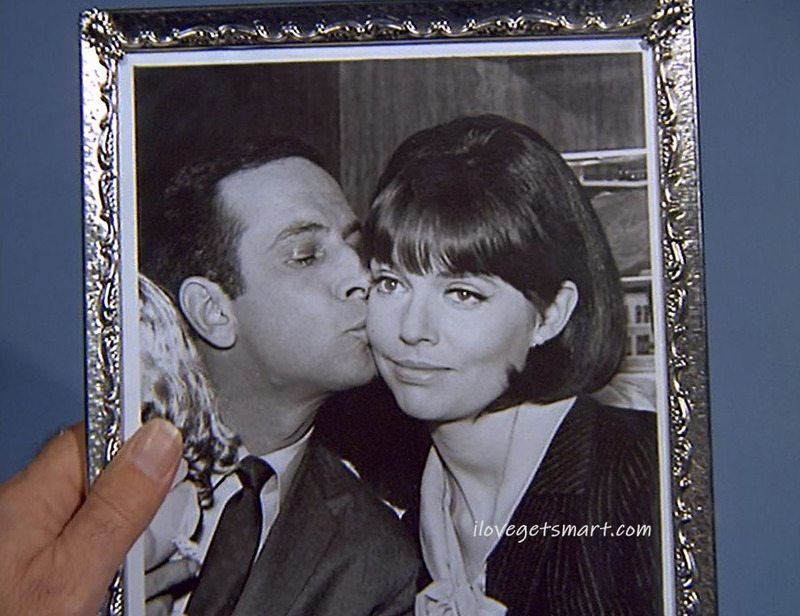 Don Adams and Barbara Feldon in Get Smart's pilot episode. The seeds to Smart were planted by Dan Melnick, a partner in the New York-based production firm of Talent Associates. The other partner in Talent Associates was David Susskind. With spies galore on screen, Melnick felt the world was ready for James Bond and the like to be parodied. 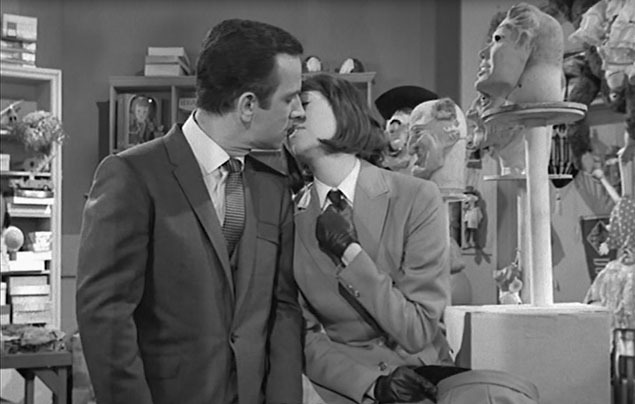 Melnick initially approached Mike Nichols to work on the project, but the logistics didn’t work out. He then contacted his pal Mel Brooks and, following that, brought Buck Henry into the fold. He pitched the idea to ABC, which gave Talent Associates the funds for a screenplay. 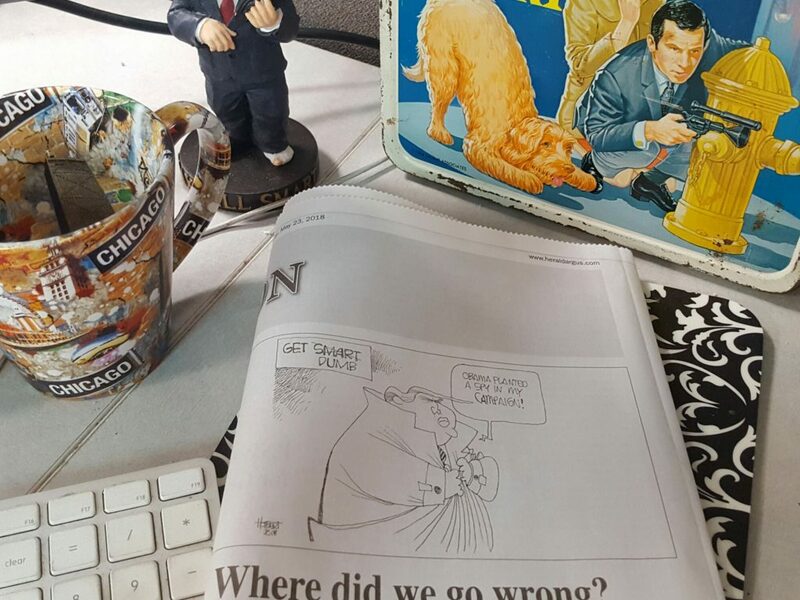 “We wrote this take off on spy stories. We figured the people running our country were completely inept and we’d show the world,” Brooks noted in an audio commentary of the pilot. The group worked out the nuts and bolts of the show, namely that their version of James Bond should be named Maxwell Smart – because he wasn’t smart. 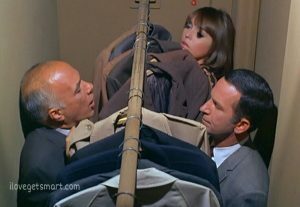 Prior to netting the role of Maxwell Smart, Don Adams played Byron Glick on The Bill Dana Show. 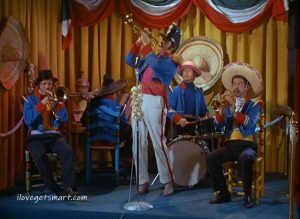 The rest of the cast included Maggie Mancuso, Jonathan Harris and Bill Dana. “We…gave him, as his most sterling quality, a remarkable lack of insight,” said Henry, as stated in The Life and Times of Maxwell Smart. Since secret agents of the day were all about code numbers, they gave Smart the number 86 – the signal bartenders use to cut off service to drunks. It took Brooks and Henry three and a half months to write the script – a processes mostly worked out over Henry’s pool table. “We could have done it in a week, but we loved playing pool,” said Brooks. Getting Smart from page to screen was a bit of a process, part of which was meeting the desires of the network. At some point in that process ABC suggested adding a dog to the cast – and a mother. Brooks’ opposition to Max having a mother, in most writings about Get Smart’s back story, has been well stated. He and Henry did relent on the matter of a dog – only they made sure this dog would be the antitheses of Lassie. ABC’s head of programming, Edgar Scherick, didn’t find the script funny. Some reports have quoted him as calling the script “un-American,” however, he denied that statement. Still, ABC gave Smart a no-go. “ABC commissioned this pilot. Somebody looked at it and said, no, it’s creepy. It’s not funny. It’s basically un-American,” Henry noted in an audio commentary of the pilot. Some may respond to that with a well earned, “Seriously?” However, lately I don’t think today’s social conscious is so different. That script revolved around a terrorist plot to blow up the Statue of Liberty. In our post- 9-11 world, Americans may have a hard time immediately grasping that concept as funny. Given how our current culture is so eager to be offended, I’ve also wondered if the idea of a spy satire would have been spiked entirely. ABC’s good opinion really didn’t matter. Talent Associates, which had brought in Leonard Stern to head its west cost operation, moved on – specifically to NBC. There were some minor tweaks NBC wanted – and one rather significant change. 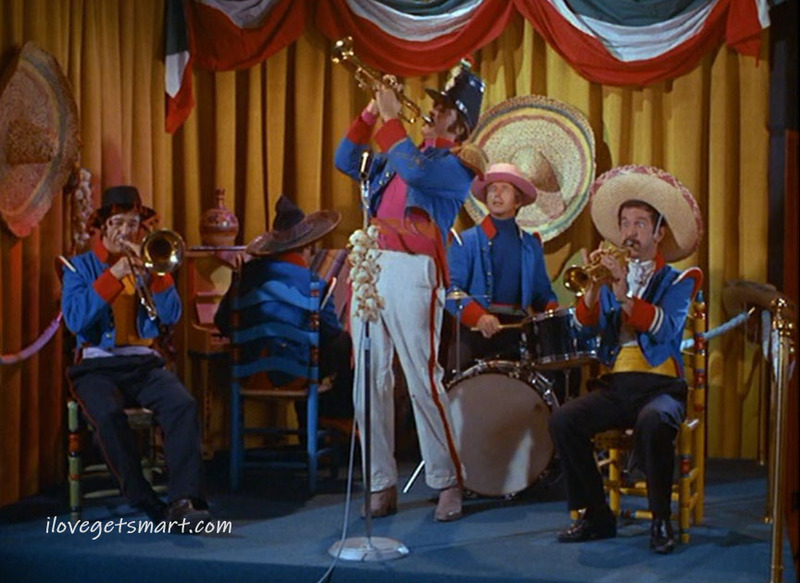 Earlier in the process, when the team presented the show to ABC, Tom Poston was named to play the lead. 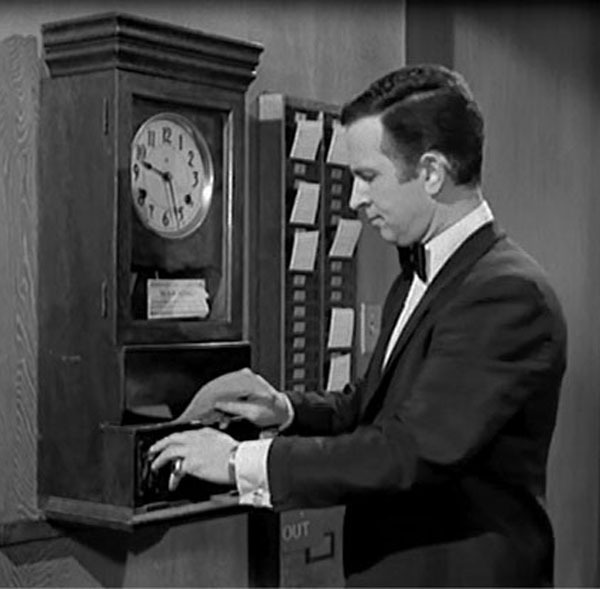 NBC, however, had an actor they wanted to play Smart: Don Adams. Adams was under contract with NBC after the sitcom he had co-starred in, The Bill Dana Show, was canceled. As the story goes, Adams had a year to pick and choose a pilot – and was waiting for a possible Sheldon Leonard produced project. Instead he was asked if he’d consider a script about a bumbling James Bond. He was initially hesitant. When he found out Brooks and Henry were the writers, he agreed to do it without even reading the script. Adams brought elements from his stand-up routine to the mix, specifically his exaggerated impression of actor William Powell and the “Would you believe” gag, which had been created by writer Bill Dana. 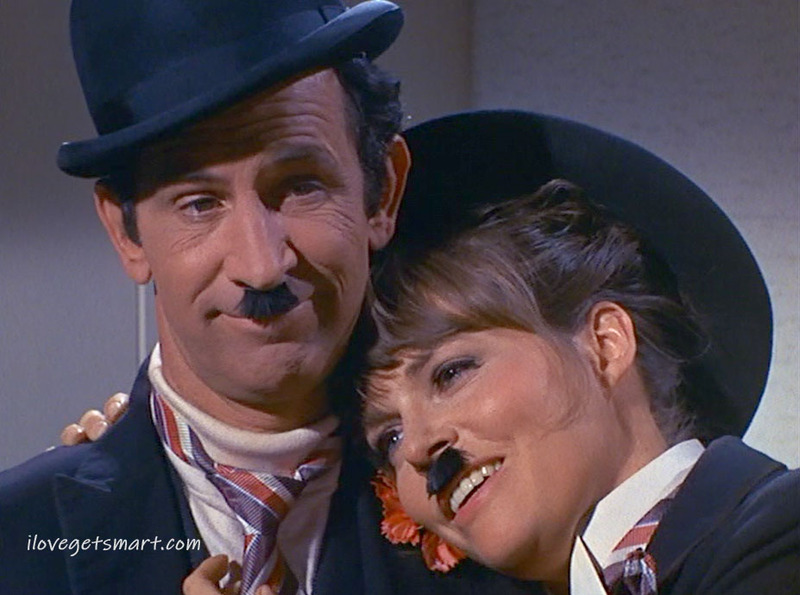 While the part wasn’t originally intended for Adams, Henry has described the casting as serendipitous and Brooks called it a wonderful marriage. 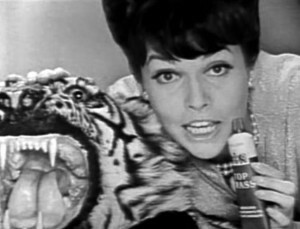 A pre-99 Barbara Feldon pitching Top Brass hair cream. 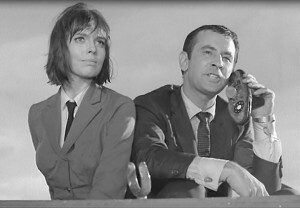 The part of Smart’s femme fatale, the never-named Agent 99, was written with actress Barbara Feldon in mind. Prior to spots on such shows as The Man From Uncle, Mr. Broadway and the Talent Associates produced series East Side/West Side, Feldon garnered fame for crawling on a tiger skin rug to pitch Top Brass hair cream. Chosen to play 86 and 99’s boss, The Chief, was character actor and opera singer Ed Platt. One of his most memorable pre-Get Smart roles was as James Dean’s juvenile officer in Rebel Without A Cause. He also had roles in Written on the Wind and Hitchcock’s North by Northwest. 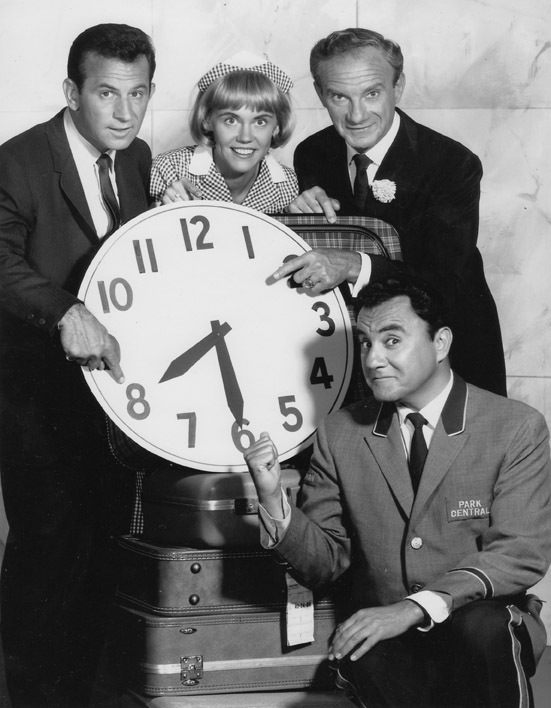 The pilot was not created with a logo or opening. 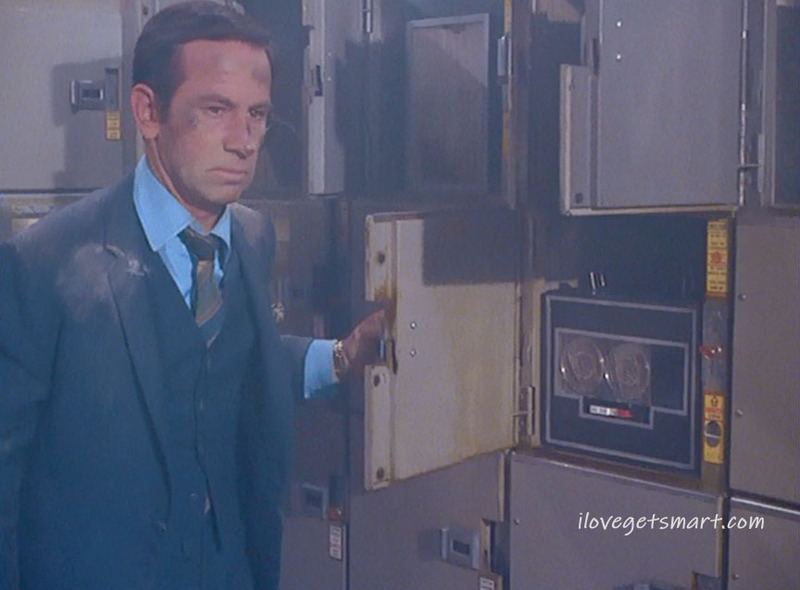 Leonard Stern later added the noted opening and closing sequence with the multiple doors Max walked through. That scene itself has been parodied a number of times and is as iconic as the shoephone. As for that shoephone, Brooks noted in DVD commentary that he thought a bizarre place for anyone to have a secret telephone was in the heel of a shoe. “That was the first time a phone went off in an audience,” said Brooks, in reference to the pilot’s opening scene. 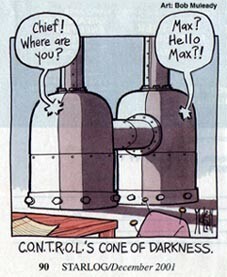 Henry said, as stated in DVD commentary, it was ironic that the show started with a phone ringing in an audience. 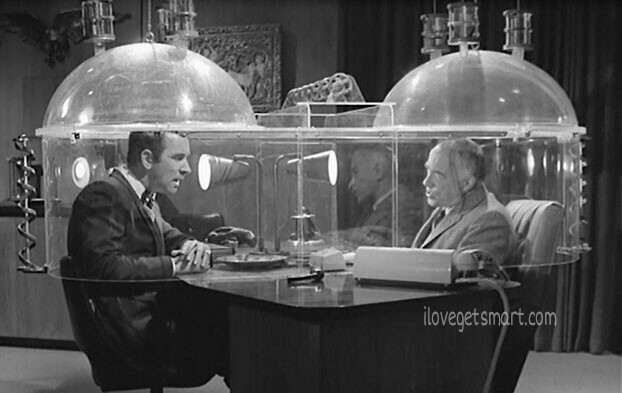 This was actually a simplified glimpse of what went into the premiere of Get Smart. There’s a lot more to digest on the matter and more insights can be found in my reference guide. 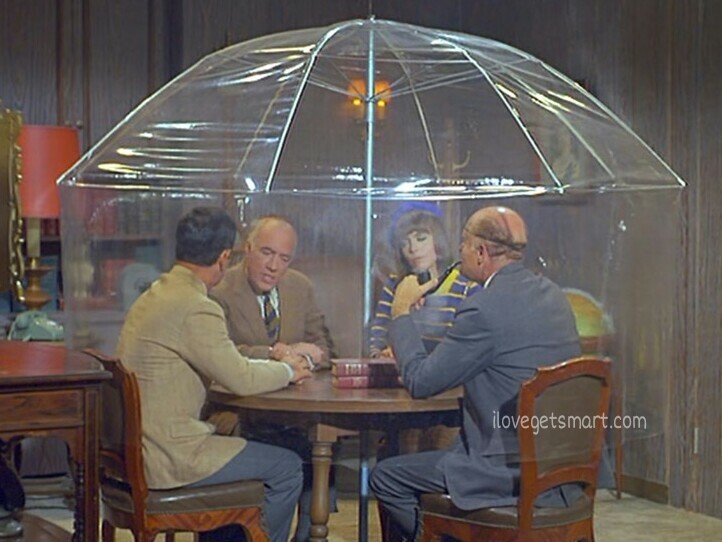 Also, the DVD box set features two rounds of wonderful audio commentary on the pilot from Mel Brooks and Buck Henry. It's the old snap your fingers and turn a black and white show into color trick. 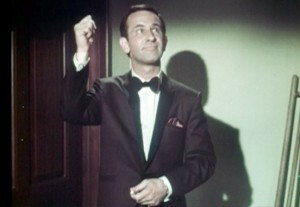 Prior to Get Smart's first episode, Don Adams hosted NBC's fall preview show, "A Secret Agent's Dilemma, or A Clear Case of Mind Over Mata Hari." 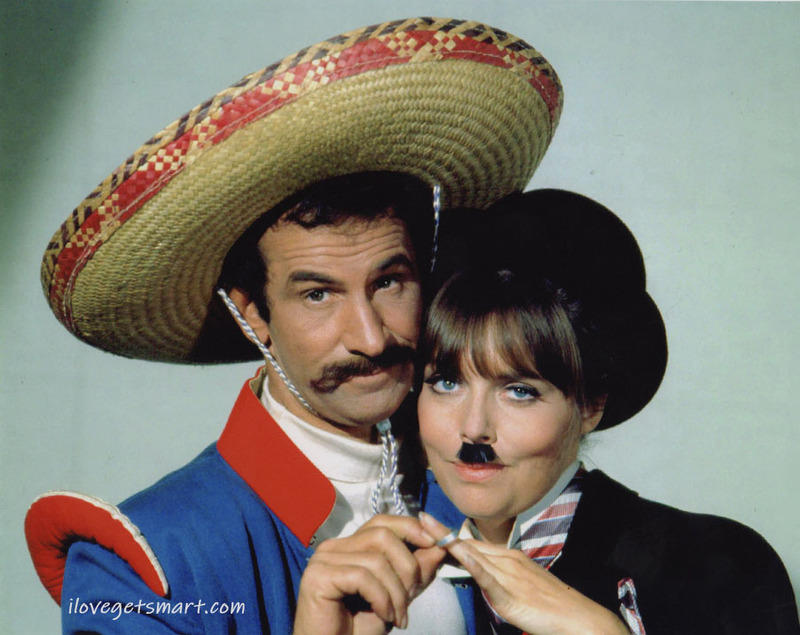 Also premiering on NBC the night of Sept. 18 was another iconic 60s sitcom, I Dream of Jeannie. 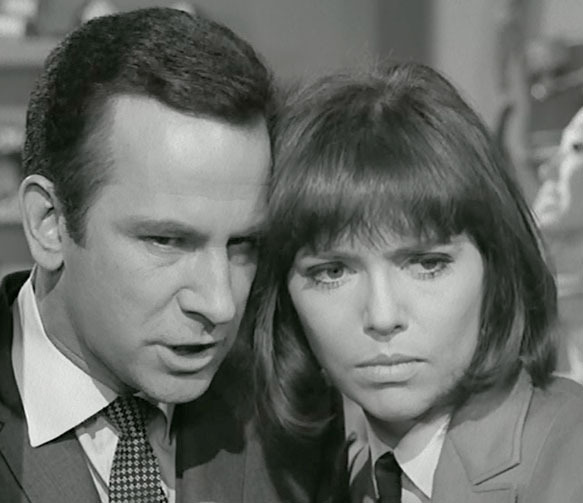 That show, along with the other shows in NBC’s fall lineup were featured in a TV special, A Secret Agent’s Dilemma, or A Clear Case of Mind Over Mata Hari. 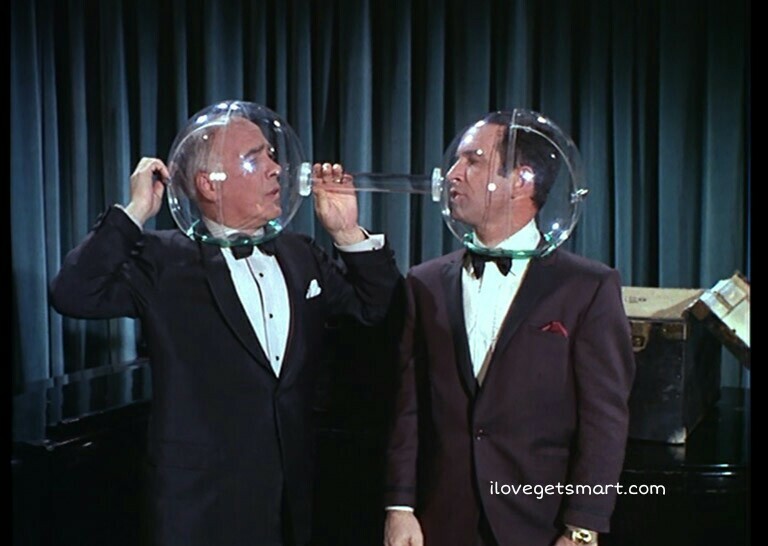 Airing Sept. 6, 1965, this was the first appearance of Maxwell Smart on TV. 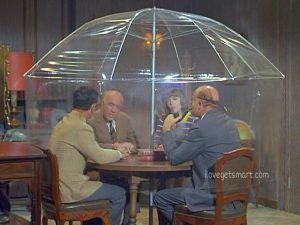 So what was the world like when Get Smart aired? Perhaps it was as confusing and turbulent as it is today. The country was both in the midst of changing social norms and engaged in a war. • The war in Vietnam had escalated and the American ground war was underway. On Sept. 11, 1965, the 1st Cavalry Division of the United States Army arrived in Vietnam. During this period President Lyndon Johnson, signed a law penalizing the burning of draft cards with up to five years in prison and a $1,000 fine. • The Indo-Pakistani War of 1965 was ongoing. The day of Get Smart’s airing, Soviet Premier Alexei Kosygin invited the leaders of India and Pakistan to meet in the Soviet Union to negotiate. • In Iraq, Prime Minister Arif Abd ar-Razzaq’s attempted coup fails. • Hurricane Betsy hit the New Orleans area with winds reaching 145 mph. There were 76 deaths and $1.42 billion in damage. • The fourth and final period of the Second Vatican Council opened. • Gemini 5, with a crew of Gordon Cooper and Pete Conrad, was launched. • Sandy Koufax of the Los Angeles Dodgers pitched a perfect game against the Chicago Cubs. 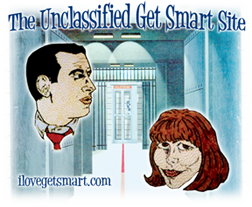 • On the night Get Smart aired, Mickey Mantle played his 2,000th game at Yankee stadium. Born in September of 1965 were: President of Syria Bashar al-Assad, boxer Lennox Lewis, actress Marlee Matlin, musician Moby and actor Charlie Sheen. 86 and 99 tune into radio station KAOS for a special broadcast.